← central park. an ode. We’ve been in a major heatwave… this is day 3. The cooling centers have been open. We’ve all been smelly and sweaty and gross before we even get into the train. 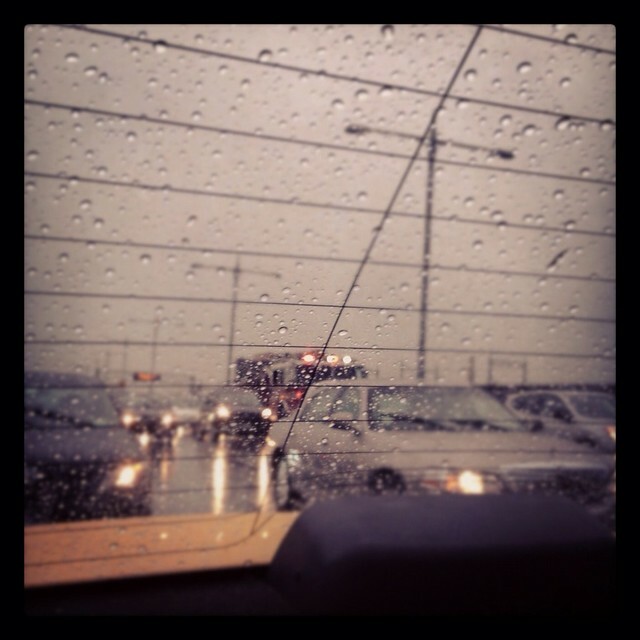 It was so hot today that the skies parted and poured down rain and hail and lightening all over the city and beyond. It was out of the blue and pretty torrential. And worst of all it was just before 5:00 PM. No bueno. 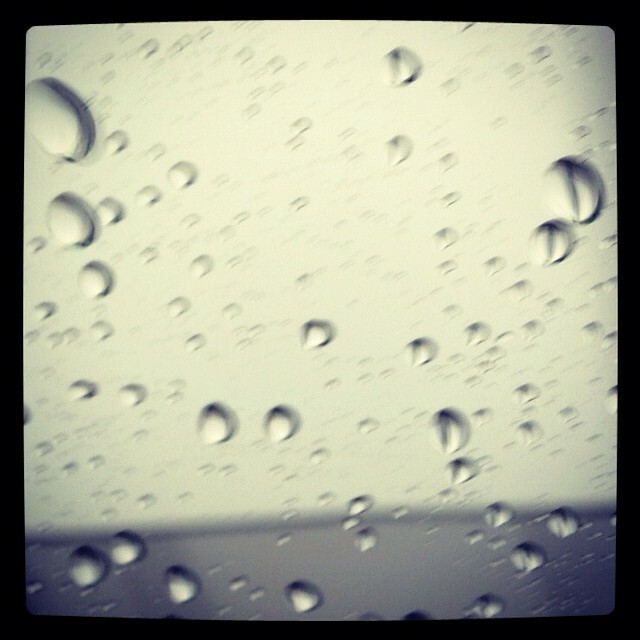 at 4:45 I received a text from my husband that read “wait to go home until it passes and then take a car.” He loves me. Also he was lucky enough to be on the inside of a cab as the hail started pouring down on Manhattan. I went out to the window in the hall (no windows in my office suite) and confirmed that the skies were exploding overhead and decided to go ahead and wait it out. I watched the WABC live newscast streaming online for a while. Around 5:30 I finally decided to try to catch a cab home. Shockingly I was able to hail a taxi within seconds of stepping outside and it all went downhill after that. The rain caused bumper to bumper traffic in Harlem 125th heading toward the Triboro which is the fastest way to get to Astoria from the Upper West Side. Bumper to Bumper traffic is what upset stomachs are made of. 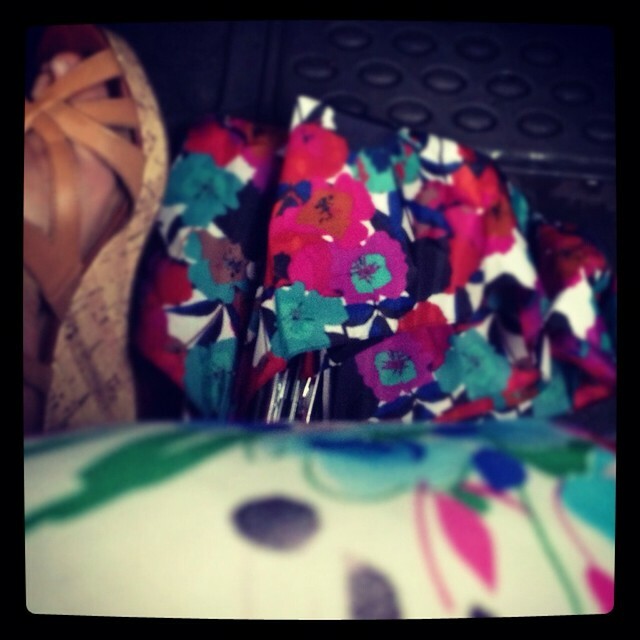 Boredom and an upset stomach in the back of a taxi lead to a lot of Instagramed photos. Congratulations to you, the recipient of my misery and Instagramed photos. When I saw that we were almost to the bridge I was so happy because I know how smooth the ride can be from that point. Instead it was more of the same. Stop. Go. Stop. Go. jerk the car forward. sudden stop. After a while I could hear the sound of alarms around me then we came upon a taxi that had been rear-ended. Shortly after passing the taxi accident I heard the alarms again. 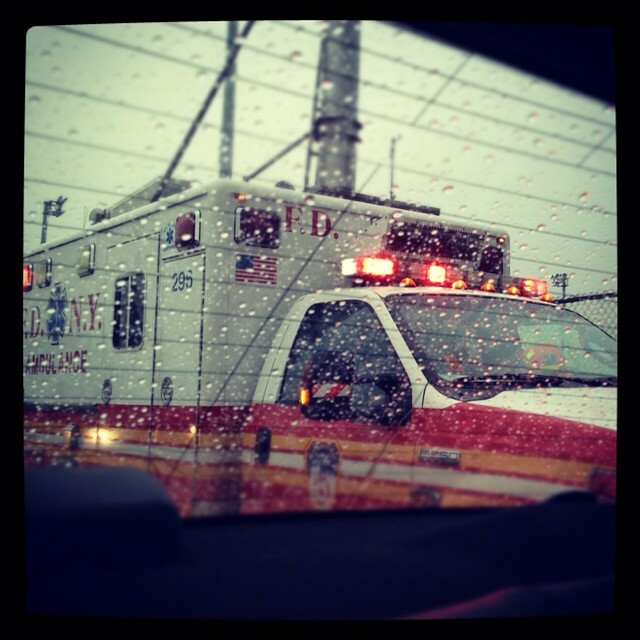 An ambulance was trying to get through the traffic. A few minutes later another alarm sounded in the distance. 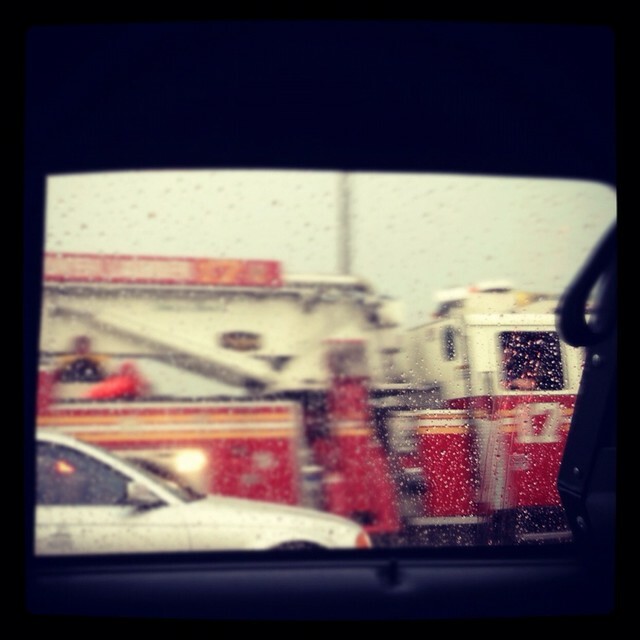 Eventually ladder 17 was visible and slowly inched its way through the traffic to pass us by. 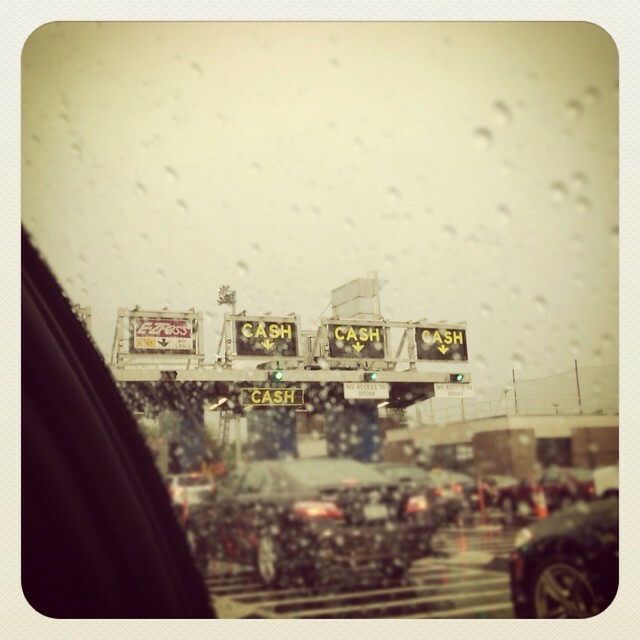 Nomrally once we get to the toll booths we are home free. Not so much today. Eventually I was delivered safely to my front door and by then the rain had passed and I’d been in the back of a car about the same amount of time I would have been in a train only I had my own seat and the air conditioning was lovely and I had the internet the entire time and oh yes the car sickness. But let us not forget that I love New York even when it is dirty and smelly and when it upsets my stomach too. 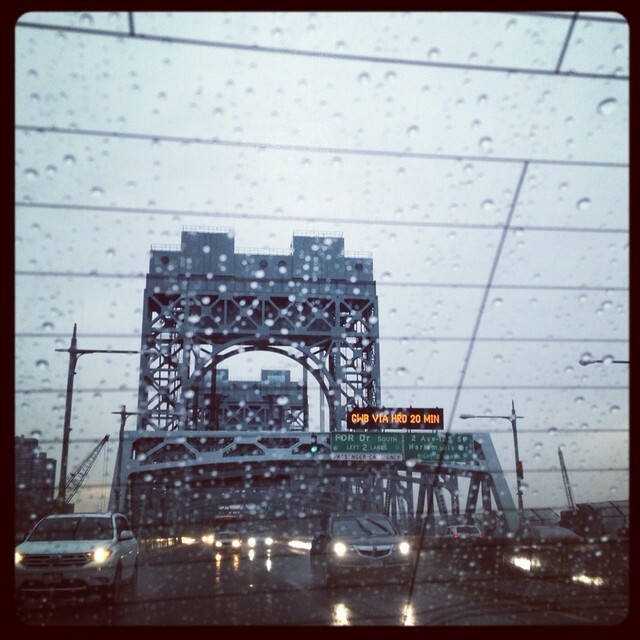 This entry was posted in everything i've blogged, observations and tagged Astoria, clothes, harlem, Rain, storm, taxi. Bookmark the permalink. 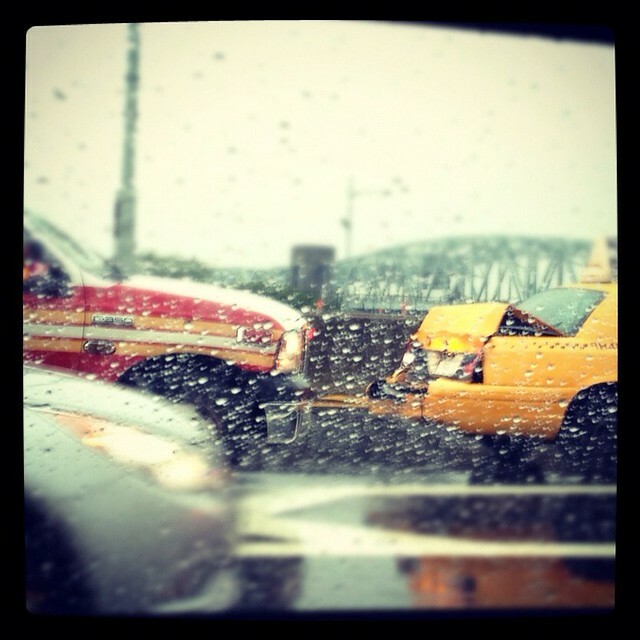 2 Responses to taxi in the rain. Good thing you waited until 5:30, after the cabbies’ evening shift change. 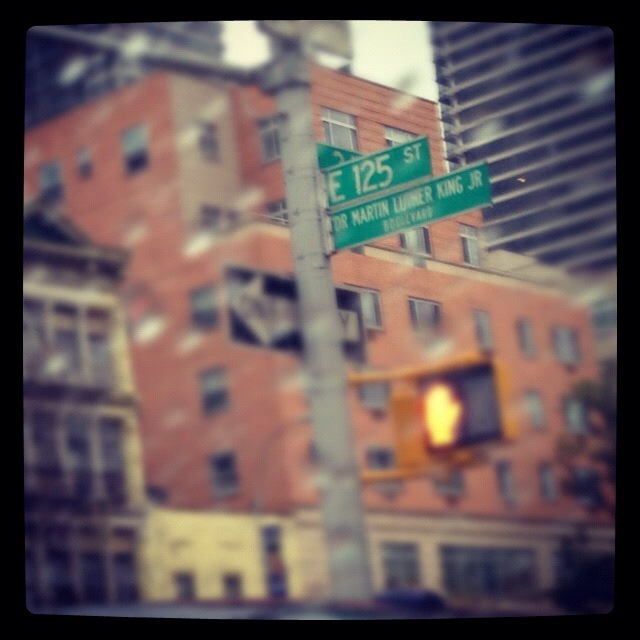 Recent NY lesson learned by us – no cabs available at 5 pm in Manhattan, regardless of which side! With a good doorman, there will be a cab after 5:30 :) Glad you made it home.